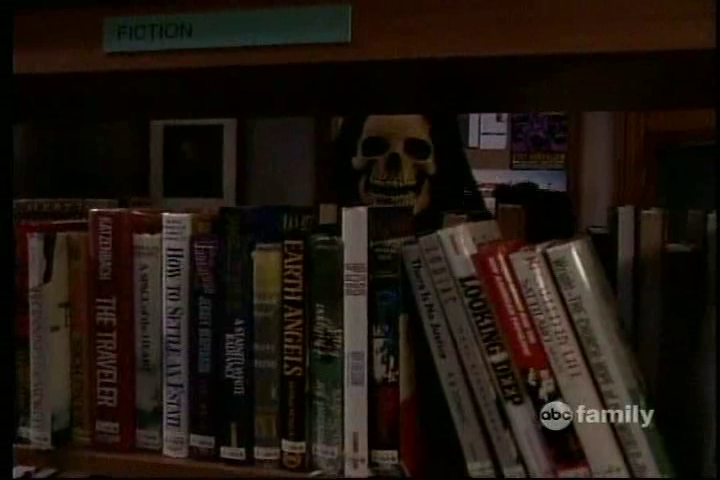 BOY MEETS WORLD gave us one of the best Halloween specials EVER! Okay, so it wasn't technically a "Halloween special," per se, but it totally works as one. 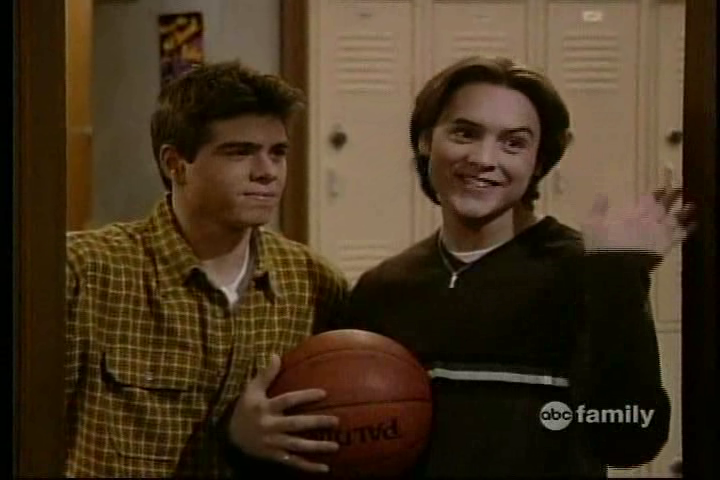 In February 1998, the hit ABC sitcom BOY MEETS WORLD released on of the better horror parodies of all time in an episode titled "And Then There Was Shawn." The episode spoofs SCREAM and I KNOW WHAT YOU DID LAST SUMMER mostly, but it was still incredibly fun and the dialogue is absolutely to die for! The kids get a scream out of detention. That's the official synopsis above. And really, for being so short, is 100% spot-on. I know what you're thinking. You're thinking, "Hey Nick, how about a play-by-play recap using grainy TV screen grabs?" My answer to you, "You got it, dude." 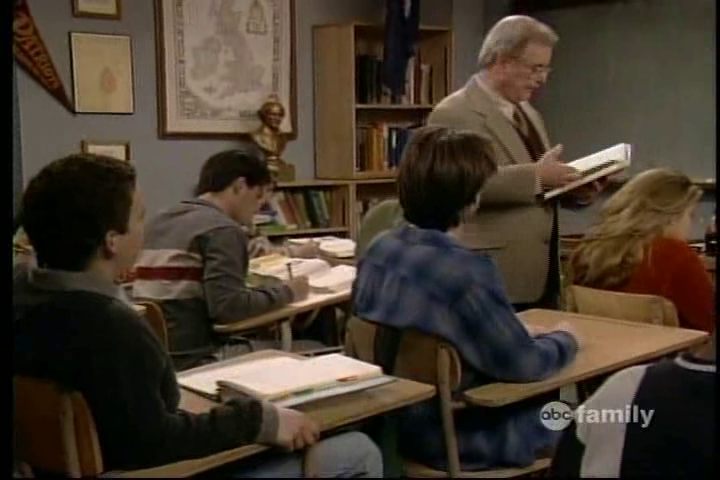 BOY MEETS WORLD -- S05E17 -- "And Then There Was Shawn"
The episode kicks off in Feeny's class and Shawn is forced to sit in between Cory and Topanga because they're currently broken up, and Cory wants to use Shawn as a buffer. 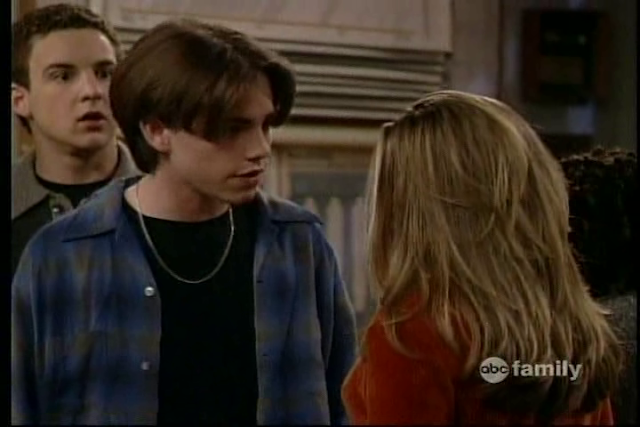 Shawn promises not to interfere, but when a classmate, Kenny, asks to borrow a pencil from Topanga, Shawn flips out and threatens to shove that pencil through his heart. 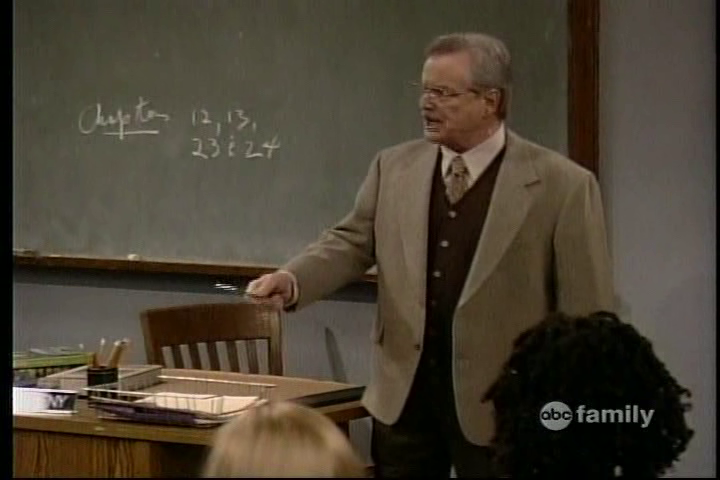 Feeny finally gets fed up with all the arguing and classroom romances and sentences the entire class to detention -- all while waiving a pointing a pair of scissors at the class. Feeny then demands that Cory go to one side of the class and Topanga the other. Shawn snaps back, "Mr. Feeny, you can't do that! You're contributing to the furtherence of their apartence." Suddenly, the spooky janitor busts in to take out the trash and points to Shawn. And if you notice his name tag says "FREDDIE." He then backs up out of the class room. 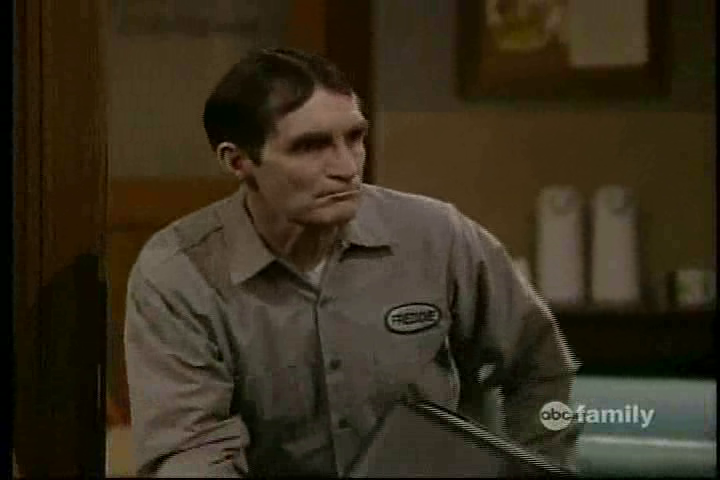 Shortly after, Feeny leaves the room. Shawn wants to go get something out of his locker but realizes the door is locked. Shawn scrambles back to his seat when he sees someone coming. Ends up being the janitor again, just staring at the class through the window in the door. 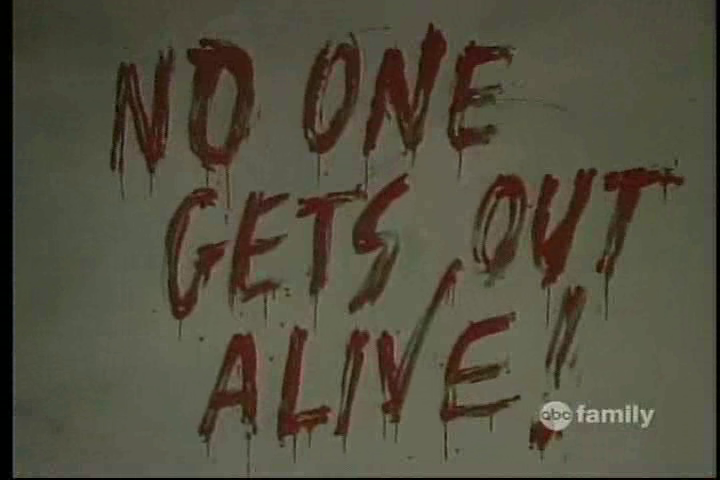 Suddenly the map above the chalk board rolls up, revealing a sinister message on the board: "NO ONE GETS OUT ALIVE!" scribbled in "blood." 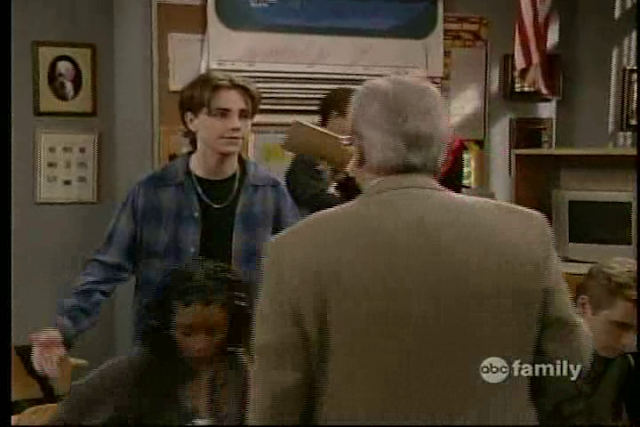 Shawn suspects that Feeny is behind it all -- trying to teach them a lesson. Shawn instantly becomes the horror movie expert. They all conclude that the first victim will die soon and they all look to Kenny. And then there's a beating at the door. The blind is drawn and we can't see who, or what, it is. The door swings open revealing Jack and Eric. The group still points to Kenny as the first to die. A disguised arm reaches into the class room and turns off the lights. When the lights come back on, we see that Kenny is dead -- a pencil shoved through his head. And, of course, Eric yells, "Oh my gosh! They killed Kenny!" Remember, SOUTH PARK was just getting started and this was a hilarious wink. The group panics and darts out of the class room. All the doors to the school are locked and chained. They're trapped. 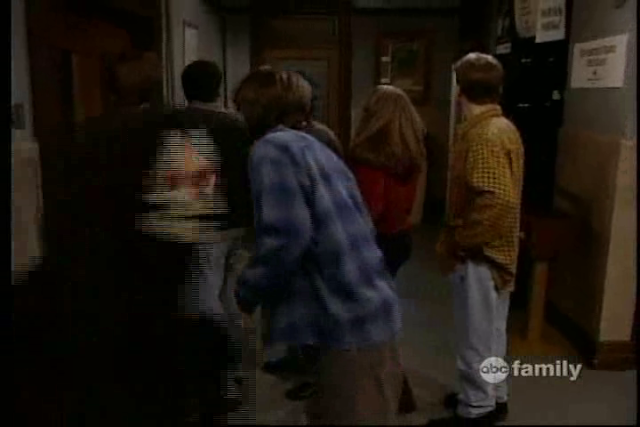 Shawn tells the gang that there will probably be a creepy shrouded figure creeping around that none of them will see. And as soon as they all look behind themselves, a creepy shrouded figure creeps past them. 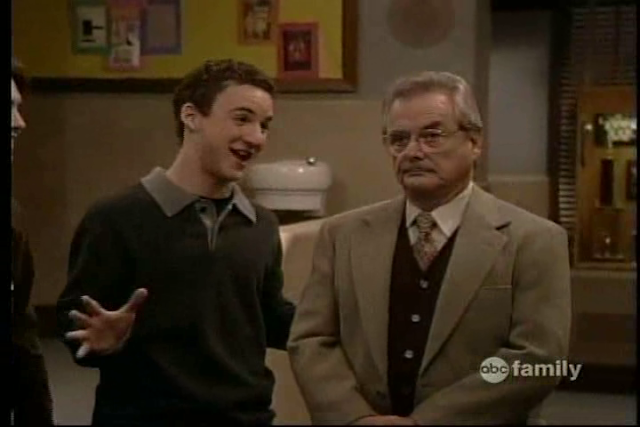 Feeny appears and everyone has a laugh. 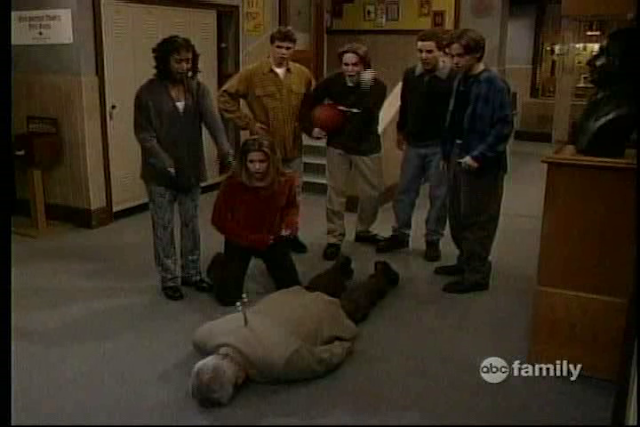 Until Feeny drops dead with a pair of scissors buried in his back. 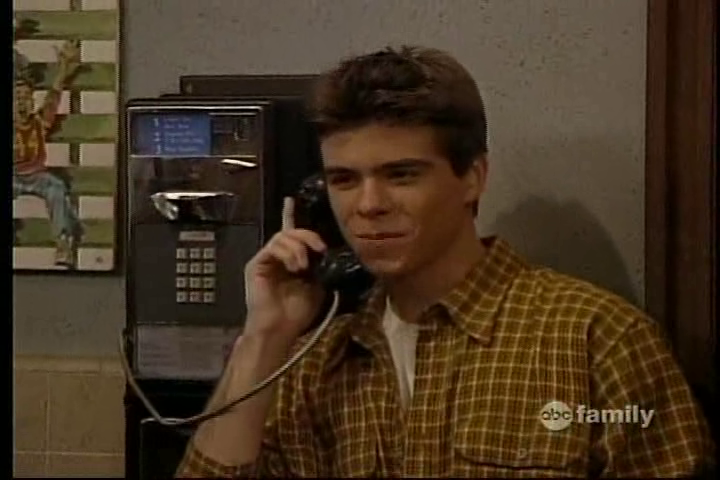 Shawn tells Topanga that none of this would have happened if she and Cory hadn't broken up. "You've killed us all," he tells her. They find the janitor's dead body. Soon, the gang realizes that one of them is the killer. Eric decides to stay out in the halls while the others take refuge in the class room. He runs into Jennifer Love Fefferman (or Feffy, as Eric calls her), a new student. The phone rings and Feffy lets out a killer scream! Angela is jealous. It's the killer. And he asks Jack what his favorite scary movie is. He replies, "I like the one with that hottie hot-hot from PARTY OF FIVE." Feffy asks, "Neve Campbell?" Eric responds, "Duh!" They all run to the library, where they're obviously being watched (if you check out the POV shot above). 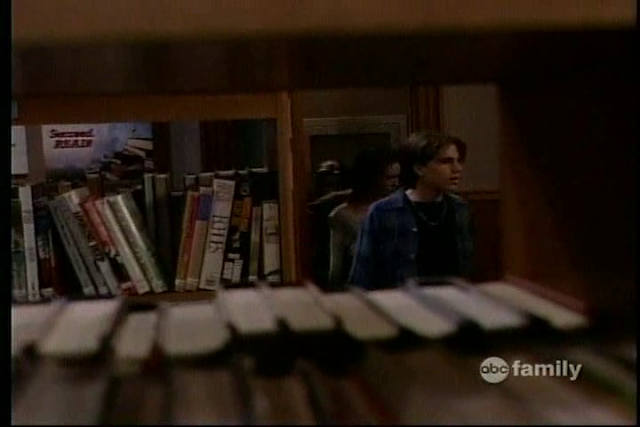 They all decide to split up...and Topanga is creepin' on Cory and Feffy. More books get pushed over and now Eric is dead, too! Jack threatens suicide and climbs out of the window, but Angela stops him. But it doesn't matter because the killer pushes them both out. The killer turns to Cory and Topanga and makes them hold hands. 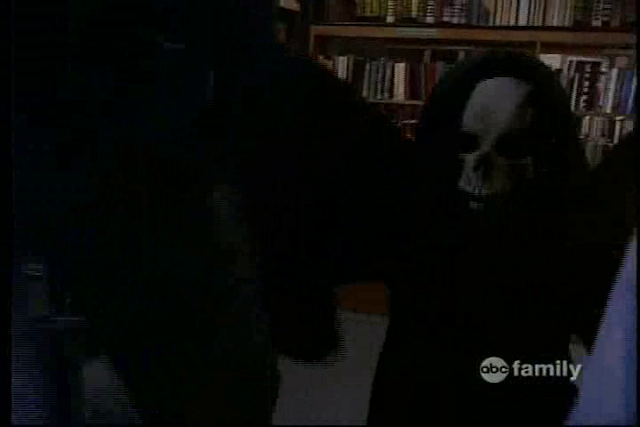 Shawn pulls the mask off the killer revealing...himself. But it's also all revealed to be a dream -- a subconscious way of dealing with the separation of Cory and Topanga. All in all, A GREAT HALLOWEEN SPECIAL -- even if it did air in February! A must see! If you wish to watch the episode in its entirety, you can pay ABC $1.99 and watch it via YouTube. Hope you enjoyed going back to '98 and reliving a TV great! Thanks for reading!